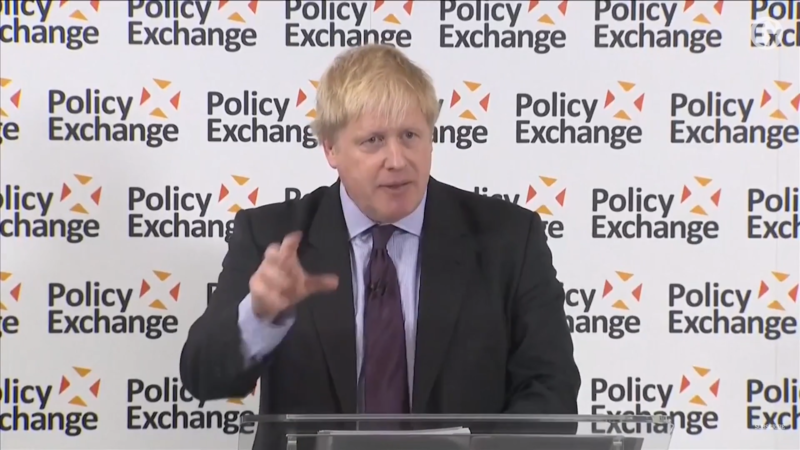 Jettisoning the blond buffoon: Is Boris Johnson finally being sidelined? The clock is ticking on Brexit, and with a Cabinet at war, it seems the PM is trying to exert some authority. Earlier this week we heard of Boris Johnson’s ‘f**k business’ outburst, following news that Airbus may cease UK operations after Britain leaves the EU. Now, we are finally getting hints that the blond buffoon is being sidelined. That raises the prospect of border checks and tariffs, something all sides are keen to avoid. Indeed, the PM has pledged ‘no hard border’ in Northern Ireland. With so little time left, a number of options are being put on the table. Crucially though, this isn’t being led by Cabinet’s Brexit sub-committee – which contains a certain B. Johnson. It is being led by the UK chief Brexit negotiator Olly Robbins. They include some recommendations the Foreign Secretary is likely to despise, but which stand the best chance of success (that being a relative term). “There’s bound to be suspicion that only one of these approaches – the one outlining what is effectively a Norway style approach with the UK in the single market for manufactured goods and agricultural goods – is the one the EU27 would be most likely to engage with. So Boris Johnson’s proposals – for ‘maximum facilitation‘ of goods (via a totally untested electronic border checking system) may be on the table, but not as a serious proposal. Partly because it would still necessitate a hard border in Ireland. On the other hand, Theresa May’s preferred option – a ‘customs partnership‘ – would see the UK collecting tariffs on behalf of the EU, for any goods coming here that were destined for EU states. The UK would become a sort of ‘clearing house’, with businesses claiming back any tariff rebates from the government if the goods then stayed in the UK. It would, in theory, smooth out the movement of goods between Britain and the EU. There’s just one problem – like Johnson’s plan, EU chief negotiator Michel Barnier’s has called May’s preferred option “unworkable”. We’ve yet to see the document Olly Robbins is putting forward. But we can suspect that Boris Johnson’s unworkable customs plan will be cast aside in favour of Theresa May’s unworkable customs plan. Failing that – the choice is between a Norway-style agreement or no deal at all. Either way, pressure is mounting for the PM to either sack Johnson – or for him to walk.